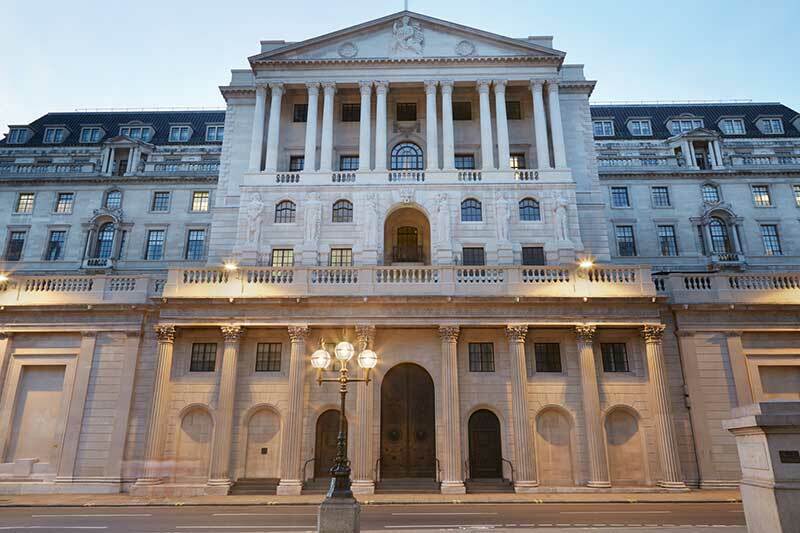 After much discussion of the possibility of over the past few months, the Bank of England decided earlier this week to raise the base rate of interest from 0.25% to 0.5%. The rate rise comes despite the fact that the UK is not currently seeing a growth in GDP, and that inflation would be projected to fall next year if the interest rate wasn’t put up. Officials from the Bank of England reasoned that increasing the interest rate for the first time for a decade would insulate British households from rising inflation in the wake of Brexit. However, initial reactions to the 0.25% rate rise were unfavourable, and saw the pound slip in value against foreign currencies. The pound fell more than 1% against the dollar to $1.30, whilst the euro climbed by a cent in value to almost €1.12, as long term foreign investors abandoned the pound given its bleaker outlook going forward. This is as the Bank of England indicated two more 0.25% percentage point rises in the next two years, capping the base rate at 1% by 2020, in its November inflation report. As the markets reacted to the fall in the pound’s value, David Madden, an analyst at CMC Markets said that “The FTSE 100 was helped by the plunge in the pound”. With the pound falling, the biggest winners include FTSE 100 companies that earn most of their income in foreign currencies such as dollars and euros, with some companies enjoying bumps in their value of up to 2.7%. This was well above the 1% rise that the FTSE 100 as a whole saw, taking it within touching distance of its previous record high, as investors anticipated foreign companies making the most of a fallen pound. Governor of the Bank of England, Mark Carney claimed that the Brexit talks were likely to be the biggest factor upon any future rate changes. “We’re going to be in exceptional circumstances for a period of time, certainly until there’s clear resolution of the future relationship [with the EU], and even then, maybe longer than that,” he said. Carney spoke of the impact that the rate rise had on the economy and the potential for uncertainty that it caused. He put the sudden shifts in currency values seen down to the novelty of the situation, with this being the first interest rate hike for a decade. Carney theorised that the impact on the economy would prove to be no more significant than it had been on previous instances of an interest rate increase. Opposed to the rate rise were Sir John Cunliffe and Sir Dave Ramsden, two out of the nine members on the Monetary Policy Committee (MPC). They wished to keep rates at the previous 0.25% level, reasoning that “there was insufficient evidence so far that domestic costs, in particular wage growth, would pick up in line with the inflation report’s central projection”. The rise in the interest rate follows the consumer price index (CPI), which is the measure of inflation, hitting 3% in September, 1% above the BoE’s mandated target of 2%. Inflation is expected to rise yet further still, however, as a result of the pound falling in value since the EU referendum, and the uncertainty of the ongoing Brexit talks. The Bank found that these “uncertainties associated with Brexit were weighing on domestic activity, which had slowed even as global growth had risen significantly”. According to the BoE, the Brexit vote hampered the speed at which the UK could grow, evidenced by the UK recording a lower rate of growth of 0.4% in the three months leading up to September than both US and Eurozone during the same period – much lower would have been expected without the impact from Brexit. If the rate rises further still as predicted, economists forecast that eventually this will boost the value of the pound. However, further rate rises would also raise the cost of mortgages and loans, which may see consumer spending stall and make it more difficult for businesses to borrow to invest. This in turn could just as easily stall economic growth in the UK, as the country is enduring lower levels of business investment in the wake of the Brexit vote. The BoE asserted that further growth ought to come as overseas firms reap the benefits from a weaker pound driving the global economy up, and which will potentially provide British businesses with additional opportunities to export overseas. In turn this will contribute to GDP growth in the UK. How does the interest rate rise affect you? The increased interest rate will mean that mortgages and loans become more expensive. Many lenders predicted that the Bank of England would raise interest rates and have boosted the cost of mortgages accordingly. The average homebuyer with the typical mortgage value in the UK currently at £175,000 will see a jump in the cost of their mortgage repayments of £22 a month, although payments for the 57% with fixed rate mortgages will remain unchanged.. If you have an interest only mortgage, then expect your monthly costs to jump much higher than they would for those on repayment mortgages. However, if you have savings then you will benefit most from the rate increase, as banks and building societies improve the interest rates available on deposit and Isa accounts, although these increases are unlikely to come into effect on your savings for several weeks.